Want to join a growing Best Places to Work in Insurance honoree? Try Plexus. The new year brings new resolutions, such as a focus on eating healthier, or exercising more, or telling the people closest to us that we love them. For many, this list of resolutions also includes a vow to change jobs, to move up in their careers, to take the next step. Maybe this can be done at a current place of employment, but maybe not. Maybe it will take a fresh start at a new company to get to where you want to be. This can be a tough decision to make. There is comfort in familiarity. Maybe your current role isn't so bad, and if you stick around, it might get better. That is possible. So if you're going to look for another job in 2018, it better be worth your time. It better deliver a superior experience to what you already have. That's why career seekers do their due diligence on prospective new companies. -- We're a Best Places to Work in Insurance honoree in each of the last eight years. -- Our associates are proud of the workplace culture they have created, and a strong commitment to philanthropy and service is found throughout our organization. -- We are a growing firm, with more than 100 employees across four offices in Deer Park, Illinois (corporate headquarters), Chicago (Loop), Dallas, and Oklahoma City. The firm has more than 100 employees across offices in Deer Park, Illinois (corporate headquarters), Chicago (Loop), Dallas, and Oklahoma City. -- We deliver advisory services and a superior client experience in the areas of property and casualty, employee benefits, retirement plans, personal lines insurance, HR consulting, and technology services. -- A number of our team members have received recognition for excellence in their field. Furthermore, our associates are routinely interviewed by media, and asked to speak at conferences. We also jump at the opportunity to talk to students about our industry. -- We offer our employees a wide variety of employee benefits, including medical, dental, life, short- and long-term disability, 401(k) retirement savings (with a generous employer match), wellness programs, Flexible Spending Accounts (FSAs), and Health Savings Accounts (HSAs). Additionally, we offer many other workday benefits, including walking workstations and complementary fruits, vegetables, waters, iced teas, and other healthy drinks. -- Each year, we set aside two days for an all-company Team Building Event to plan ahead for the coming year, and we invite a keynote speaker to deliver an address to inspire and inform our team. 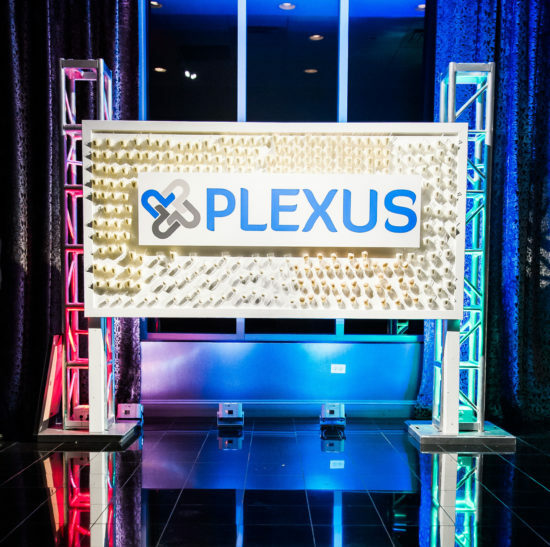 Interested in career opportunities at Plexus? Click here to be directed to our Careers page for our updated list of openings. We get it: a career search can be intimidating. It takes work. You need a reason to go on with it. And if you are going to change jobs, it better be for something rewarding, fun, legit. To this we say: welcome. You have come to the right place. © 2018. The Plexus Groupe. All Rights Reserved.